Imagine if you could move house without lifting a finger? You simply turn up at your new home, open the door and everything’s been done for you. Your furniture’s in place, the beds are made, the TV and satellite system is set up, the heating is on and the fridge is full of food. That’s what Johnsons Concierge Service is all about. We can assign you your very own Concierge to manage your move. They will oversee the packing and unpacking and carry out cleaning at your old and new properties. They can sort out the utilities at your old house and ensure that all of the utilities at your new address are connected including your TV, broadband, Sky box or BT Home Hub. If you wish, they can go shopping for food, make up your beds, hang curtains and pictures, assemble furniture, and unpack the entire contents of your house to an agreed plan. They can also have new keys cut for you if you need them. Leaving you to enjoy time with your family. Let us plan everything from bespoke packing-case design and build, to the transportation, storage, shipping and installation at your new property. 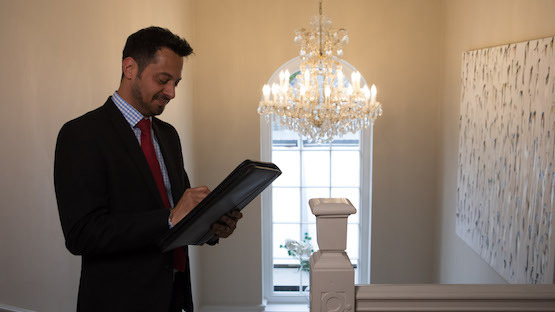 Our expert team of fine art & antique Project Managers allows us to plan and manage the safe handling and removal of your precious items within the UK and to or from every location throughout the world. Your dedicated Project Manager will produce a risk assessment and a de-installation/reinstallation plan that will incorporate condition reports, insurance arrangements and bespoke packing/transport solutions. If you are moving outside of the UK, we will arrange all other required import/export documentation, import/export licenses and Antique Certification. We understand that each move is individual, so let us tailor each aspect to ensure you get exactly what you need. A dedicated Project Manager will meet with you to discuss all your requirements and review the relevant details, constraints and criteria. We will then build a detailed project plan that will incorporate installation plans and key dependencies. Once agreed and signed off, Johnsons will manage the whole process from start to finish, acting as your Personal Assistant who will be contactable 24/7 throughout the move process. If you'd like someone to take the weight off and manage your entire house move for you, contact us on 0808 124 0014 or visit our contact page to find your nearest depot.